A leading modern British sculptor, Lynn Chadwick (1914–2003) was celebrated for his abstracted figures of human and animal forms in welded steel and bronze. His work first attracted international attention at the 1952 Venice Biennale. Just four years later he became the youngest-ever artist to be awarded the International Prize for Sculpture, which Alberto Giacometti had been expected to win. The paradox of Chadwick’s long career is that, while his work later fell out of favor in his native Britain, he would always sustain a high reputation abroad. 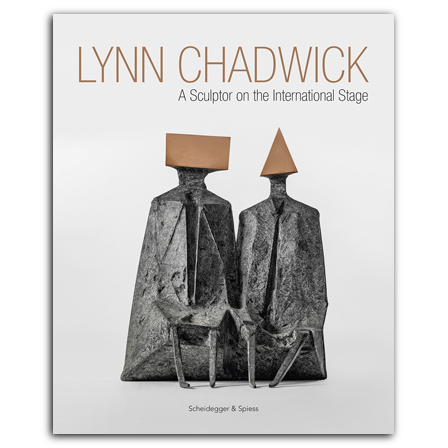 The first book to set Chadwick’s work in international context, Lynn Chadwick: A Sculptor on the International Stage sets out to change that. Art historians Michael Bird and Marin R. Sullivan provide new insights into the development of his work. They vividly locate his art within the wider context of postwar European and American sculpture, including the work of Giacometti and David Smith, who worked alongside Chadwick in Italy in 1962, and Chadwick’s reception in the USA. Taking readers through key developments in Chadwick’s career, this volume rightfully restores this major artist’s place in the history of 20th-century sculpture. is a British art historian and writer specializing in contemporary modern British art. He is a Royal Literary Fund Fellow at the University of Exeter. is a Chicago-based art historian and curator.